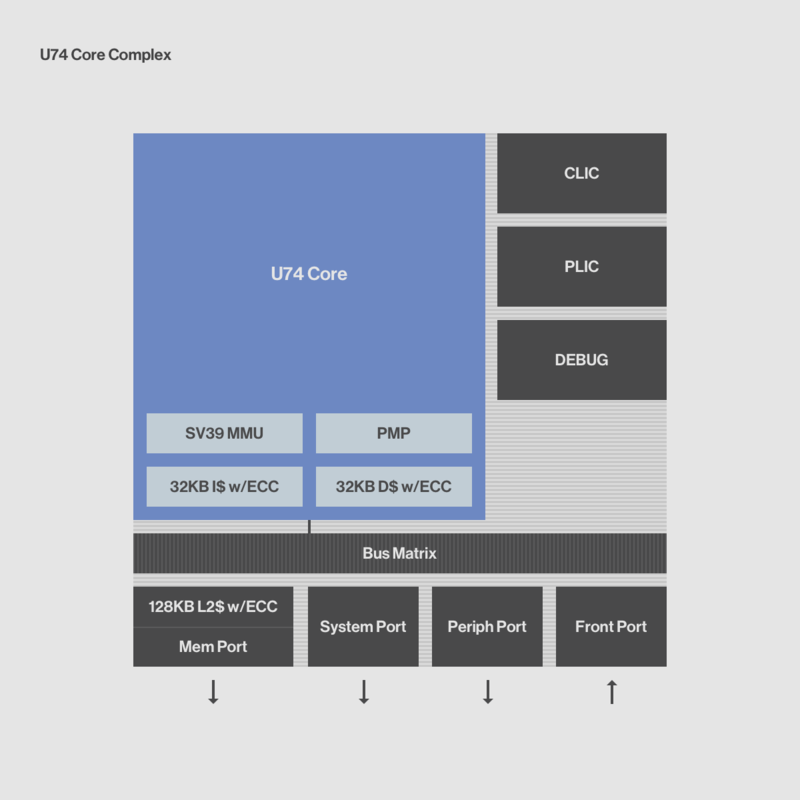 The SiFive U74 Standard Core is a single-core instantiation of the world’s highest performance RISC-V application processor, capable of supporting full-featured operating systems such as Linux. The U7 Series features SiFive’s highest-performance RISC-V Linux-capable application processor. The U7 core has a superscalar 8-stage pipeline with support for virtual memory, enabling the most demanding 64-bit RISC-V applications such as Edge Compute, Big-Data Analytics and 5G Base Stations.